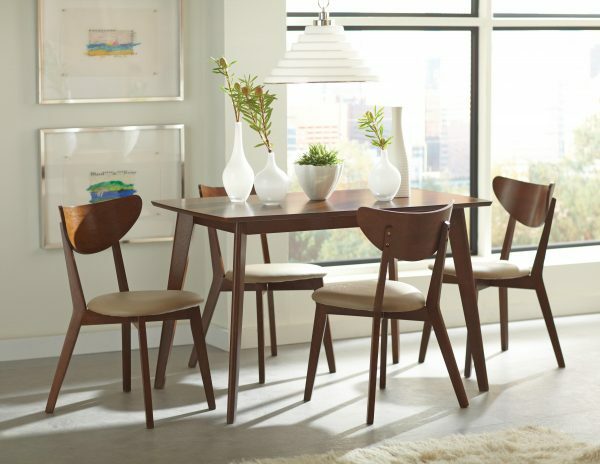 Express your retro side with this table and chair set. 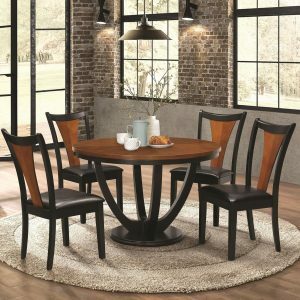 The solid wood table and comfortable chairs showcase angled out legs and deep curved backs finished in chestnut color. in addition the curve back of the chairs offers a gentle support while sitting on the fabric cushioned seat. This set will hold its design in any dining area over time.